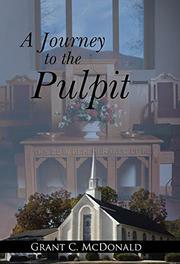 McDonald delivers advice on how to produce better sermons in this debut Christian guidebook. A majority of pastors in Christian congregations across America are now multivocational, meaning that they have a job in addition to their religious duties. As such, they may lack the time and Bible school education of the full-time pastors of yesteryear. McDonald seeks to help these part-timers: “The intent of this book is to address both the limited time and financial issues. The multi-vocational pastor must have timesaving options for sermon preparation that still yield a quality sermon.” Even the divinely inspired pastor requires research to successfully preach to his flock, and the author provides numerous tips and strategies for those in need of a little aid. From determining the purpose of a sermon to seeking out inspiration and choosing topics that will speak to the needs of the congregation and the pastor himself, McDonald walks the reader through the creation process. In addition to nuts-and-bolts advice on how to structure the sermon, he offers holistic counsel on the ways a pastor should live to make himself a better vessel for God’s teachings. These range from the theological (“only a fool would embark upon building a sermon or other spiritual project without prayer”) to the practical (“Preachers are not immune to the onset, either temporary or long term, of physiological diseases or psychological disorders”). The book concludes with a number of prompts to get the aspiring sermon writer’s imagination flowing. A multivocational pastor and missionary, McDonald writes in a conversational prose and has the gentle, explanatory manner one would expect from a member of the clergy. He approaches the sermon-writing process from every angle while keeping the guide a tight read at under 200 pages. While the audience for the work may be narrow, the book is well-tailored to its task. McDonald makes it clear to new pastors that they are not obligated to be expert sermon writers right out of the gate. Like everything else, there’s a learning curve, and this author is happy to light the way. A well-written and informative sermon primer for pastors.